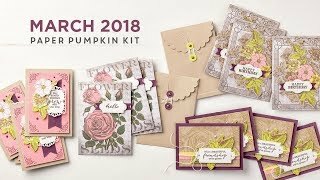 January is when Paper Pumpkin sets you up for success on the big V-day! This month we got a darling kit with supplies to make 24 treat bags for those special loves in your life. Its not hard to make Paper Pumpkin projects - they do everything for you to make it easy! All the supplies are pre-cut, special adhesive or stickered die-cuts are ready to go, they include an instruction guide, AND there is even a video for each project where you can watch someone make it! Heart frame on die-cut hearts in the kit. Hit or miss, its OK to miss!! There are two sides to every paper! Two. Sides. If you're trying to stamp this heart outline, it may take a couple tries. :-) Flip your sheet over & try again. Velum is one of those special papers that take some getting used to! For sure follow the instruction in the guide about placing the adhesive dots on the stripes. You'll hardly be able to see the dot of glue, but it will hold your banner in place! The sticker to hold the back of the bag down? Mayyyyy pop off. Make sure you double and triple score that flap to make it more pliable. Or. Stick a tiny spot of clear tape on & put the sticker over. Just sayin. Wouldn't want any of those goodies inside to go missing! Unless they're chocolate, and they just happen to spill out and I need to taste test them to make sure they're still good...amirite?! Anyhow, once you're through making these sweeties, share the love! 24 treat bags is a great number for party favors, table treats, classroom or workplace valentines, neighbor treats, and gifts for your postman, UPS man and Barista. Those folks deserve a little love too! Share the love! All your friends and family love a little treat, too! If you're just NOT feelin' the treat bag, check out my next post where I share some Paper Pumpkin Alternative projects! 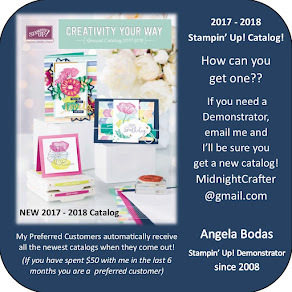 I'll show you some projects using the supplies in your kit differently, and how you can use the stamp set again if you've used all your kit supplies!